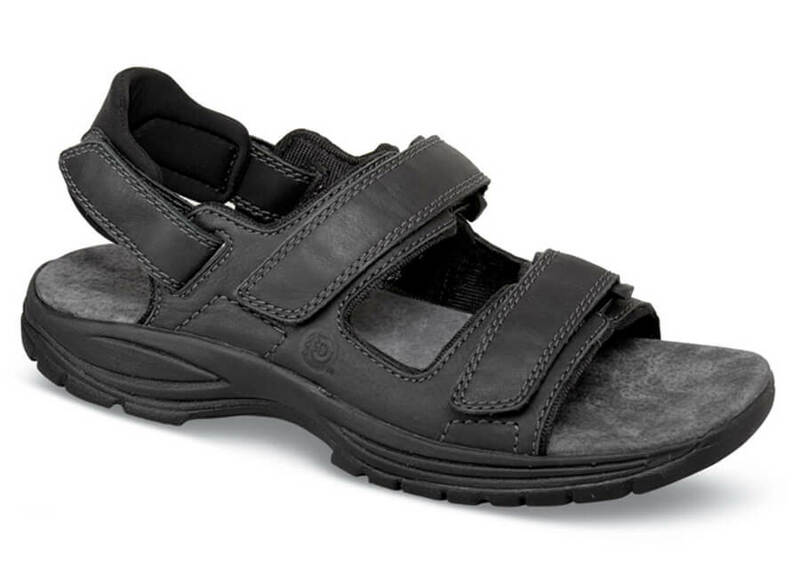 Dunham’s premium sandal of black leather has three self-securing straps for customized fit. (Remove the heel strap to wear it as a slide sandal.) The deeply cushioned, leather covered EVA footbed comes out to allow you to use your own orthotics. 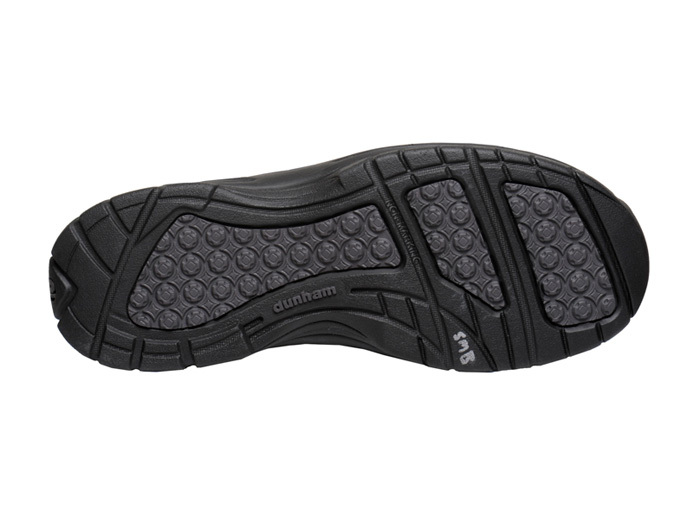 High-traction rubber outsoles are durable without being heavy. Stock seasonally and limited stock in men's whole sizes 7–16 in 4E; 9–16 in 6E.